Two radio documentaries produced by Forces Radio BFBS have won Silver and Bronze trophies at the 2018 New York Festivals Radio Awards in Manhattan. I Am Unconquered took Bronze in the Heroes category in the Information/Documentary group. The programme follows four British Invictus Games athletes through their everyday struggles and explores the transformative power of sport. It was created by Will Warren – a Forces Radio BFBS Producer – and Poppy Pawsey, a former Royal Marine bandswoman. See the highlights video from the 2018 Soldiering On Awards which took place in the presence of Awards Patron the Rt Hon Earl Howe PC. Join us once again in congratulating all of our amazing Awards Winners. Our thanks go to Jeremy Vine and Vicki Michelle MBE for being such fabulous hosts for the evening and to Carly Paoli for her outstanding performance including a special tribute to RAF 100. 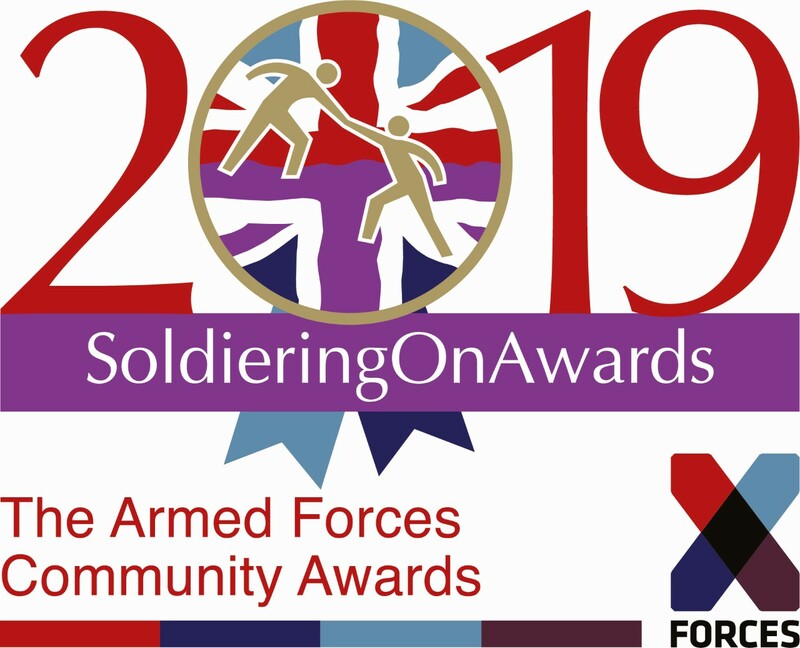 Soldiering On awards Announces 2018 Winners! 20th April Park Plaza Westminster Bridge Hotel was a special night of celebration of all Soldiering On Awards 2018 Finalists and the announcement of the overall winners. The fabulous weather was just the start of a warm and welcoming evening for all; opened by Awards Patron the Rt Hon Earl Howe PC including a message of support from the Prime Minister, the Rt Hon Theresa May MP. Awards presenters, Jeremy Vine and Vicki Michelle led the audience in an evening of celebration and recognition. Carly Paoli to perform at the Soldiering On Awards! Soldiering On Awards are delighted to announce that the internationally acclaimed classical singer Carly Paoli will be performing on Awards night! A blind veteran from Gwynedd has been nominated for a prestigious Soldiering On Award for his work with Blind Veterans UK, the national charity for blind and vision-impaired ex-Service men and women, from whom he also receives support. Soldiering On Awards announce Awards Night Presenters! We are delighted to announce that radio and TV broadcaster Jeremy Vine will be returning to host the Soldiering On Awards by popular demand! The Jeremy Vine Show on Radio 2 is the most listened-to radio news programme in the UK. Jeremy also presents Eggheads and Points of View, along with election night specials and much more.